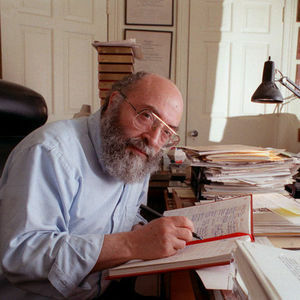 Chaim Potok's literary aspirations weren't always encouraged. Teachers at his Jewish parochial school were cool to the idea and his mother wasn't thrilled at a son who wanted to be a writer. Add your thoughts, prayers or a condolence to Chaim's guestbook. "John and Ardis, thanks for what you wrote. It's helnpig me make a bit of headway with this.It hadn't occurred to me that Gershenson hadn't published. I thought he just wasn't being listed for some ..."
I never had the opportunity to meet Mr. Potok, but I'm so sorry to hear of your loss. At times like this we all know there are no words that can take away ..."